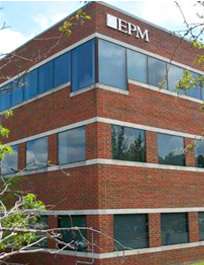 About EPM - EPM, Inc.
EPM was founded in 1980 to assist U.S. nuclear utilities in developing strategies for resolving fire safety regulatory compliance issues. While the nuclear power industry remains a major focus of our business, we have expanded our offerings to provide a full range of technical services, management consulting, professional training and software solutions for specialized industries. Providing expert consulting and engineering services, along with leading information technology to industry for nearly four decades. EPM is a multi-discipline engineering company that provides expert consulting and engineering services, along with integrated software solutions, to assist our clients in addressing regulatory compliance challenges, managing risk, and improving safety at their facilities. We have built a reputation as the premier service and software provider to U.S. and international utilities as energy firms look to modernize, maintain, upgrade, and comply with safety standards in the face of shifting industry regulations. We employ fire protection, mechanical, and electrical engineers, risk managers, chemical safety professionals, and software engineers that work together to solve complex engineering problems in a multitude of areas.